Why does the UK like the Dublin system? Does leaving the EU mean leaving the Dublin system? Participation in the Common European Asylum System is not necessarily “all or nothing”, nor does it absolutely require membership of the EU. Even within the EU, involvement in CEAS is also selective in some cases. However, it is doubtful that selective participation would be possible by an outgoing Member State already outside the Schengen area and also committed to leaving the Single Market and abandoning free movement of people. Council Decision of 15 March 2001 concerning the conclusion of an Agreement between the European Community and the Republic of Iceland and the Kingdom of Norway concerning the criteria and mechanisms for establishing the State responsible for examining a request for asylum lodged in a Member State or Iceland or Norway. Norway’s participation in Eurodac and Dublin has to be seen in the context of its membership of Schengen, its adherence to the principle of free movement of people and its desire for participation in common EU migration policy. Switzerland also participates in the Dublin system despite not being a member of the EU or indeed the EEA; but Switzerland also participates in the Single Market and Schengen. The UK and Denmark both secured opt outs from various parts of EU law, including on asylum and immigration measures. The opt outs are slightly different in nature but this does not matter for present purposes. Denmark currently participates in the Dublin scheme (OJ L 66, 8.3.2006 p.38) but not in other CEAS measures. Denmark’s opt-out was secured in response to a “no” vote to the Maastricht Treaty and the nature of the opt out has proven undesirable to the Danish government, which in 2015 held an unsuccessful referendum to amend the way in which it worked. The UK opted into the first phase of CEAS but then opted out of the second phase, other than Dublin III. There is therefore some precedent for some selectivity in participation in CEAS. However, these past examples are borne of pragmatism and were consistent with wider participation in common EU migration policy. The UK’s opt out needs to be seen in the context of non participation in Schengen, along with Ireland. If the UK were remaining within the EU then the UK would be permitted to opt out of these new measures and the old measures would continue to apply. However, it seems self evident that this will not be the case once the UK leaves the EU. It would be surprising if, on having left the EU, the UK were to be permitted to participate in all or even aspects of CEAS without also signing up to other EU migration policies, in particular free movement of people. The UK has enthusiastically embraced the Dublin Convention and its successors. The reasons for this are obvious: as a distant outward-facing outcrop of the European continent, the United Kingdom is a hard place for any potential refugee to reach. This is particularly so since the introduction of an external UK border based on French soil following the Le Touquet Treaty with France of 2003. Travel across the continent of Europe and somehow cross the English Channel. Neither option is easy, which is why the numbers of asylum claims in the UK are so low compared to other Member States of the EU. And where an asylum seeker does cross Europe and manage to reach the UK, the Dublin Convention and its successors have enabled the UK to return at least some of those asylum seekers to their entry point into the EU. There are two sources of information to which we can turn to ascertain how far the UK currently makes use of Dublin III: Eurostat and the UK’s own quarterly immigration statistics. Both suggest a relatively low number of cases, although the numbers differ. For 2016, Eurostat figures suggest that the UK had 2.3k requests accepted for outgoing transfers of which only 355 were actually transferred in practice. The UK’s figures on enforced returns of asylum seekers to EU destinations, which must be principally Dublin returns, show 535 such returns in 2016. 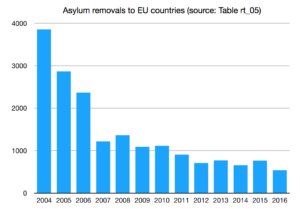 The chart represents asylum enforced removals to EU countries (table rt_05 in the quarterly immigration statistics). These should mainly be Dublin removals. We can see a sharp fall after A8 accession and since then a gradual decline in removals, suggesting that the efficacy of the Dublin system has declined, from a UK government perspective. The first Dublin Convention, full title Convention determining the State responsible for examining applications for asylum lodged in one of the member states, was agreed by the European Council in 1990. The UK signed up in 1992. However, because of the EU legal framework and legislative process at that time, it did not enter force until ratified by all Member States, which did not occur until 1997. The original Dublin Convention was then replaced by “Dublin II” of 2003 as part of the Common European Asylum Process and that in turn was replaced by “Dublin III”. Discussions are underway on a new version, inevitably to be known as “Dublin IV”. While the original Dublin Convention predated the CEAS, it now seems unlikely that any Member State or non Member State could participate in the modern Dublin regime without signing up to the rest of the CEAS and/or free movement of people. There is simply no “benefit” to the EU in allowing the UK to participate. On top of that, the breakdown of the Dublin system from 2015 onwards as returns to Greece were prohibited by Strasbourg, mean that the numbers actually removed from the UK under Dublin have fallen considerably. 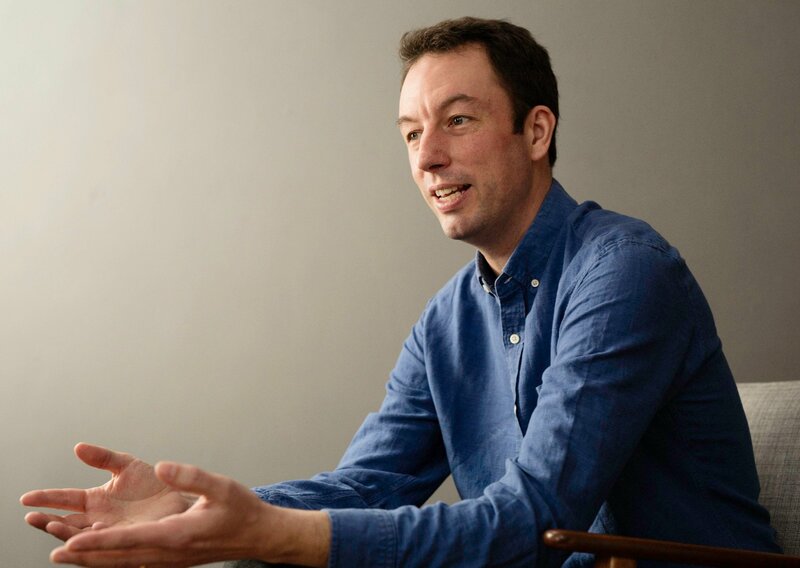 The EU has shown a high degree of pragmatism rather than principle on asylum issues however, and it is perhaps conceivable that the UK might effectively be able to buy its way into the Dublin system by making very substantial financial contributions. The UK might also wish to obtain access to the new Eurodac system currently being planned, which will apply not just to asylum seekers but to migrants generally and which will include far more information than at present. One of the reasons that the Dublin system has worked well for the UK is the parallel existence of juxtaposed immigration controls in France. Essentially, the UK border is physically located in France rather than in the UK. This prevents irregular migrants and refugees from reaching UK soil in the first place and prevents them claiming asylum. The juxtaposed immigration controls are accompanied by physically extensive and expensive security on French soil protecting Eurotunnel and freight bound for the UK. The juxtaposed controls operate under the Le Touquet bilateral treaty of 2003 between France and the UK. This treaty is not a part of EU law. Brexit does not therefore automatically or directly affect the treaty. However, several French politicians have indicated a desire to renegotiate the treaty, including the French President, Emmanuel Macron. It would not be surprising if, following UK withdrawal from co-operation with EU countries on asylum and immigration, the French were to withdraw from co-operation with the UK on the same issues. EU citizens are in essence unable to claim asylum in other EU countries. When the UK is no longer an EU country, we may see an increase in the number of EU citizens attempting to claim asylum. 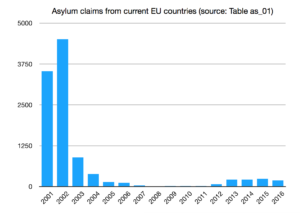 A return to the numbers prior to the expansion of the EU in 2004 seems unlikely but we do not know what future events may occur that might generate refugees. Member States shall be regarded as constituting safe countries of origin in respect of each other for all legal and practical purposes in relation to asylum matters. if a Member State should so decide unilaterally in respect of the application of a national of another Member State; in that case the Council shall be immediately informed; the application shall be dealt with on the basis of the presumption that it is manifestly unfounded without affecting in any way, whatever the cases may be, the decision-making power of the Member State. where a person’s life and liberty are not threatened by reason of his race, religion, nationality, membership of a particular social group or political opinion (schedule 3, para 3(2)(a)). 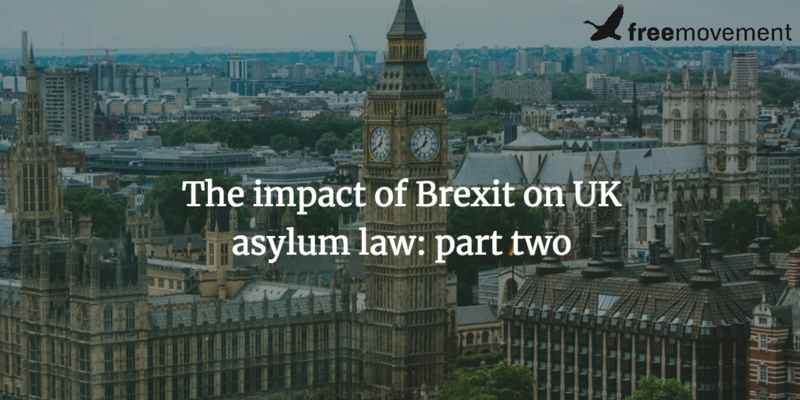 The Act goes on to provide that if an EU citizen does make an asylum claim — which we can see would be doomed to fail — then the Home Office can send that person home despite that asylum claim being made (schedule 3, para 4). The Home Office can also prevent a person lodging an appeal against any refusal (schedule 3, para 5). This means that according to an Act of Parliament any asylum claim by an EU citizen is ultimately doomed to fail. However, the Act does not prevent an EU citizen from making the claim in the first place, even if it will ultimately fail. 326E. An EU asylum application will be declared inadmissible and will not be considered unless the requirement in paragraph 326F is met. 326F. An EU asylum application will only be admissible if the applicant satisfies the Secretary of State that there are exceptional circumstances which require the application to be admitted for full consideration. This presumption of inadmissibility was introduced in November 2015. Without an EU law underpinning, the absolute presumption of safety would be legally questionable. That is not to say that the present government will not attempt to retain such rules, though.